Nothing makes a more lovely and charming area in your home as much as a window seat. When adding a cushion to a window seat, you add color and interest to the room. The cushion also makes a wonderful place to sit and relax or read a book. When sewing your own window seat cushion, you have the freedom to choose just the right colors and prints that best accent the room. Enjoy picking out a window seat cushion pattern and start sewing. 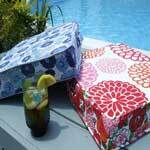 Here is a sewing project for a boxed edge cushion with zipper. 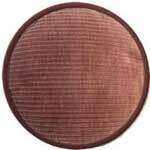 This cushion is easily kept clean as the insides can be removed. Make cushions that are trimmed in piping that enhances the shape of the cushion. 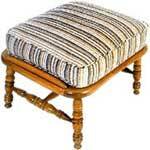 This easy to follow plan will help make these lovely seat cushions. 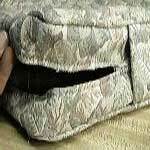 Create boxed cushions that have welts between top and bottom cushion. Great for window seat, foot rest, etc. Here are easy instructions to help you sew a perfect fitting cushion cover. Make a used cushion look like new with a cover. This is a sewing project with simple instructions for a window seat cushion. You can have cushions in a short time using these plans. These cushions have a handle at one end for easy carrying. 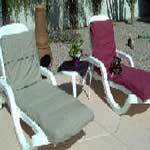 Use your comfy cushion at a game, on the patio or wherever you need some cushion. Using basic sewing skills you can make a fitted cushion. No matter the shape, a fitted cushion is easy to make when you follow these instructions.